The M Streets and Lower Greenville are serving up Tudors you need to tour. The Appeal: The pool will likely be the first thing to catch your eye at this contemporary gem, but the beauty can also be found in the details. Turn your focus to the Cantoni kitchen, complete with two 36-inch Subzero refrigerators and a floor-to-ceiling pocket door to the dining room for seamless serving while entertaining. The Appeal: Touches of navy distinguish this Tudor, but there’s nothing blue about the home. The bright lights, open windows, and cozy furnishings create a cheerful custom home just off Greenville Avenue. 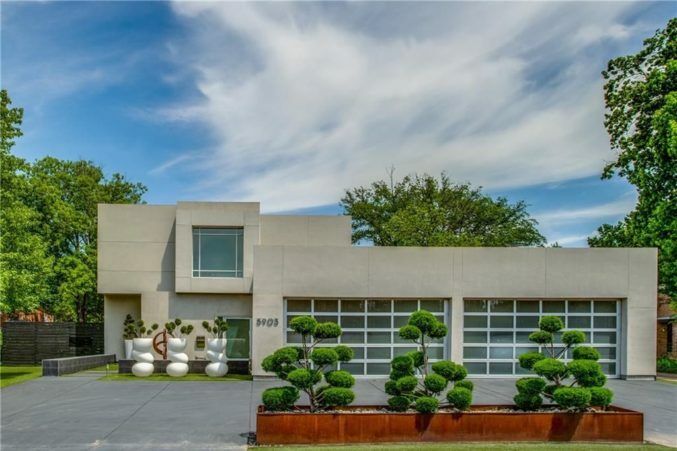 The Appeal: Every inch of this modern Preston Hollow mansion is masterfully designed. Geometric art installations complement and futuristic fixtures complement the contemporary design. And though this house feels like something from the future, check out one of the many TV rooms, and you’ll discover a retro-blue ceiling that will transport you back to the ’60s. 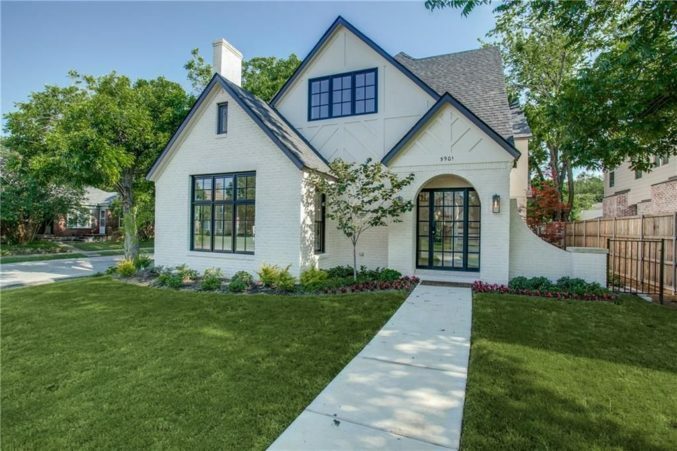 The Appeal: Quaint on the outside and current on the inside, this Lower Greenville cottage is like a storybook home with a little modern sparkle.